Today, I am going to show you one of my very first holos I ever got. This is an Ozotic polish and I still love it! 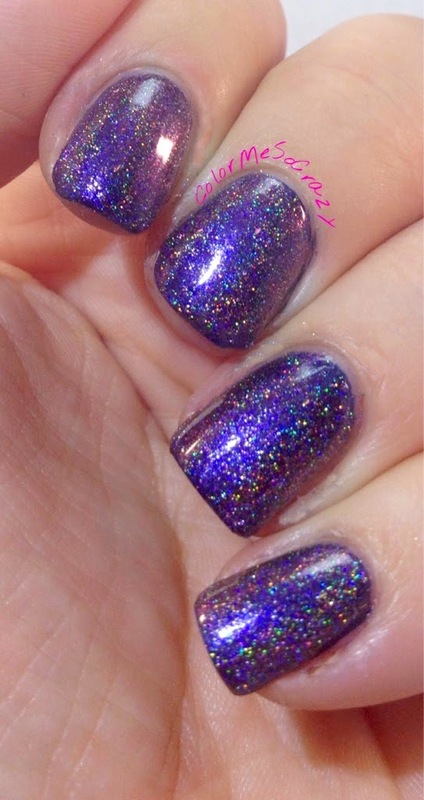 I layered it over a dark navy blue so you can really see the holo, but it is gorgeous. This is a scattered holo, but it is still awesome. 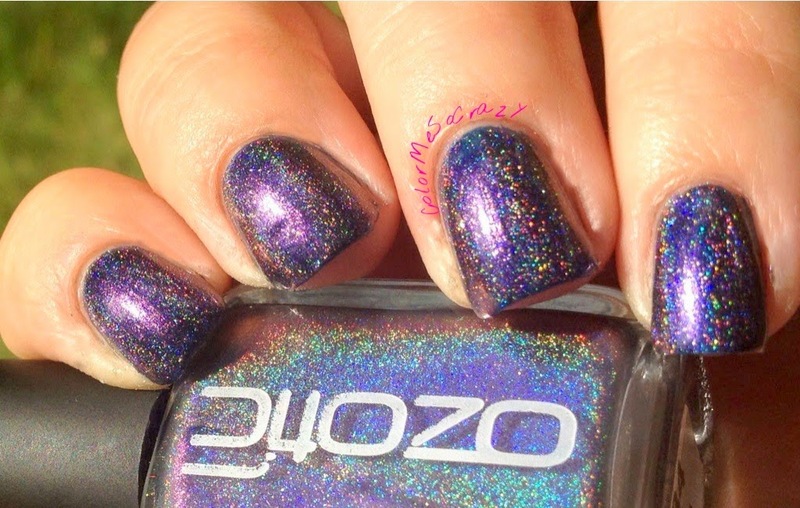 I am kind of over all this holo-ness. I am ready for something new. I want magic! Don't get me wrong. I love a good holo, but I am ready for what's next. BIGGER and BETTER! 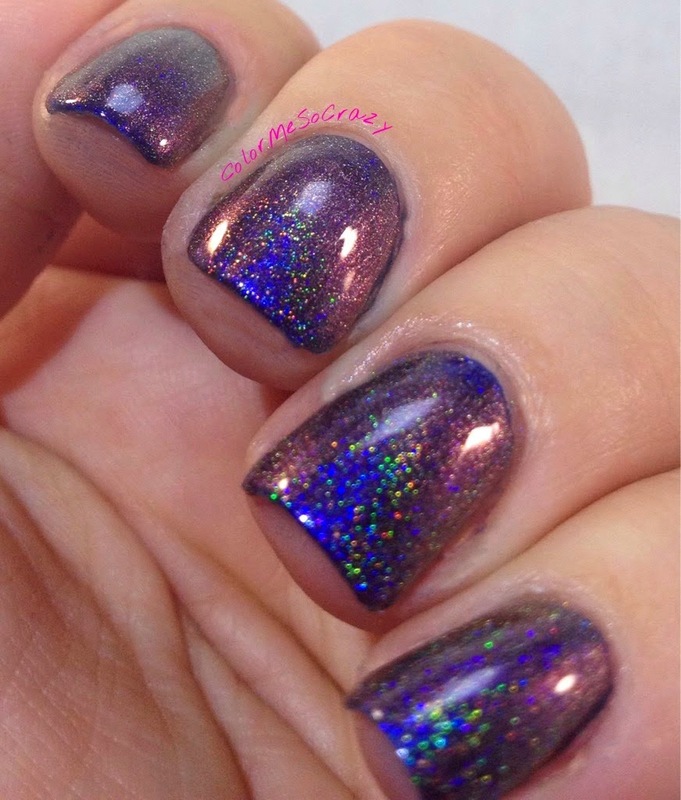 In addition to this great holo feature, it also happens to be a multi-chrome polish. It leans purple to blue to a pinkish. 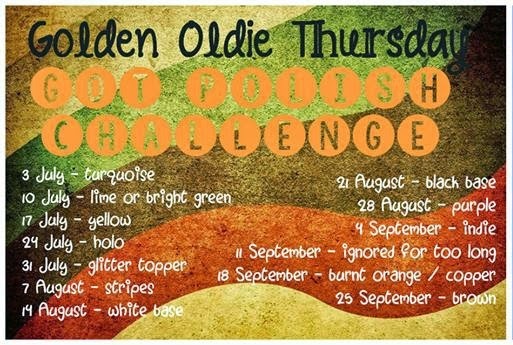 The outdoors pictures that I have below really shows the full greatness of this polish. Since I am wear a layer of my navy blue undies and about 2 layers of the holo, I had to wait a little in between layers and then cover with a quick dry. I would like to try this layered over a purple to see if it's different. Outdoors in direct sunlight. 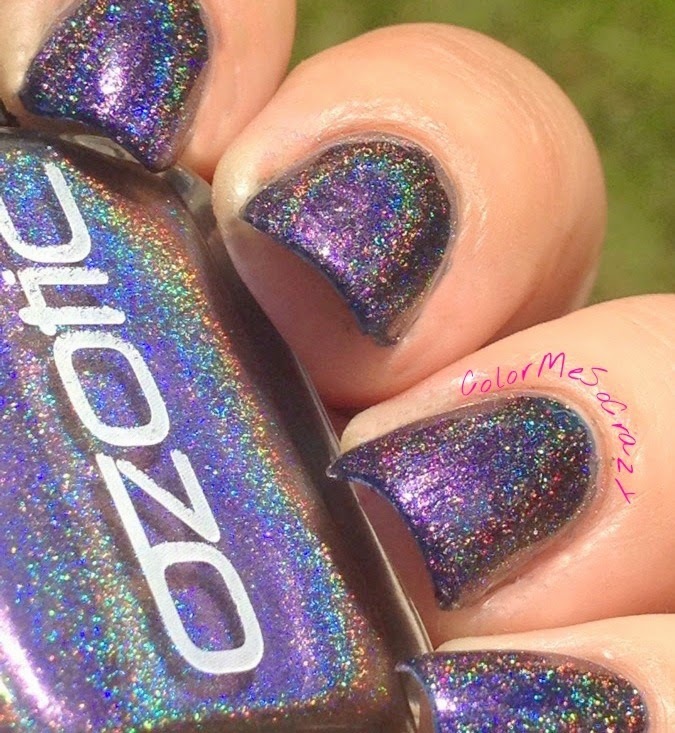 While the multichrome is kind of hidden in direct sunlight, you can really see the holo better. 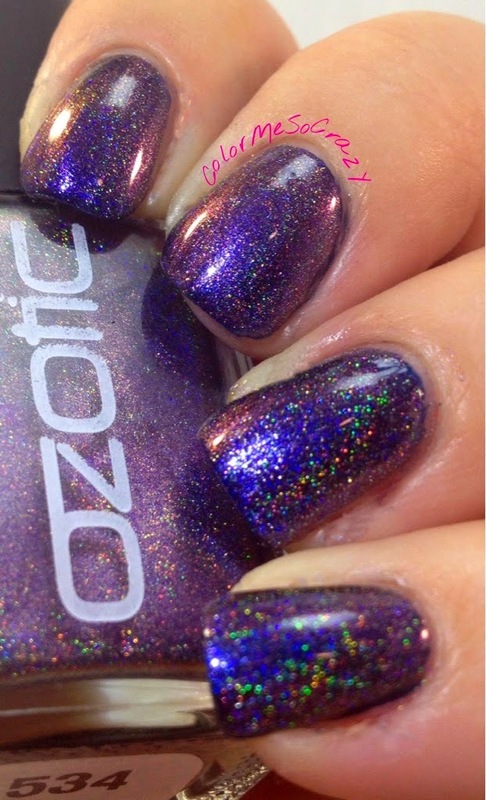 Have you ever tried an Ozotic polish? If so, which one?? Until next time, when we have GLITTER TOPPER!